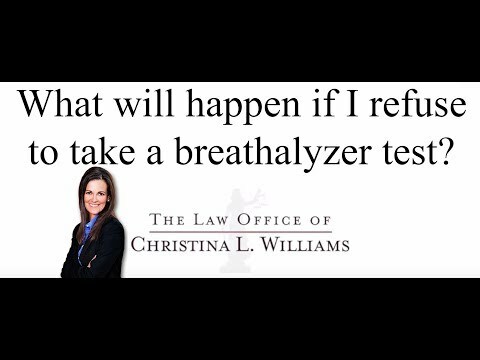 What will happen if I refuse to take a breathalyzer test in Wyoming? If you refuse to take a breathalyzer test in Wyoming, the law enforcement officer can apply to the court for a warrant. In other words, the officer would have to submit paperwork to the judge, no matter day or night, in which the office would let the judge know what evidence he or she gathered during the DUI investigation against you. Based on those pieces of evidence, the judge would either allow or reject the warrant. If you refuse a breathalyzer, a warrant is the second means for the officer to get a blood result, rather than a breath result. They will do a blood draw with a warrant.